More detailed information on the "National CCTV Improvement Week 2012"
Given the breadth of "Stakeholders" with a vested interest in the effective use of CCTV, it has long been accepted that for many systems, a number of simple improvements could easily be made in certain key areas, to help raise operator efficiency, and consequently improve the suitability of recorded "CCTV Product", for use during criminal investigations and any subsequent court proceedings. The idea of encouraging CCTV users to review their operations and carry out basic improvements, would undoubtedly help to raise standards in overall image quality, help to address data compliance and privacy concerns, and also help to ensure the integrity and admissibility of recordings required for evidential use in a 'Forensic Surveillance' role. 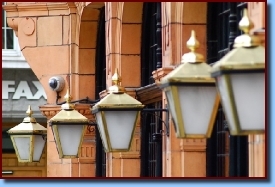 As part of the ongoing TRUSTED© CCTV Improvement Project, a range of documents and work practices are currently being developed to assist users in evaluating the effectiveness of their existing CCTV systems, in key areas of operation. As well as providing tangible benefits for both law enforcement agencies and the wider Criminal Justice System, it would undoubtedly also be of significant interest to a broad range of organisations and operators currently using Closed Circuit Television as a key component, in their everyday security and safety strategy. A broad range of organisations and sectors are thought likely to benefit from participation in the UK's first "National CCTV Improvement Week 2012", including Local Authorities, hospitals, schools, colleges and universities, retailers, banks and building societies, petrol retailers, hotels, shopping centres, commercial premises, museums, airports, train and bus stations, sports stadia, pubs and bars, department stores, leisure parks, .... and the list goes on! 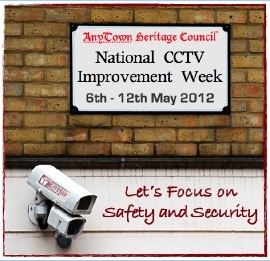 It is hoped that the "National CCTV Improvement Week 2012" will attract positive support from a wide range of interested parties, and any individual organisations wishing to further sponsor or promote the events objectives, would be very warmly welcomed.